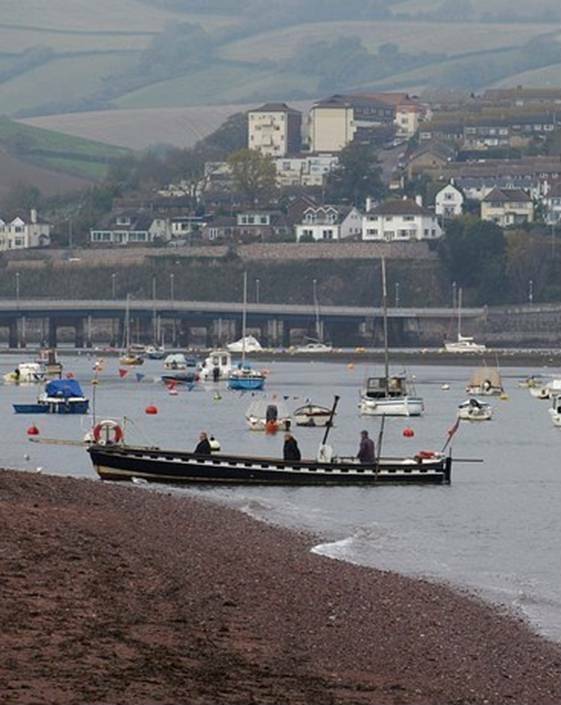 The Teignmouth to Shaldon Ferry has a longer continuously recorded working history than any other in England. 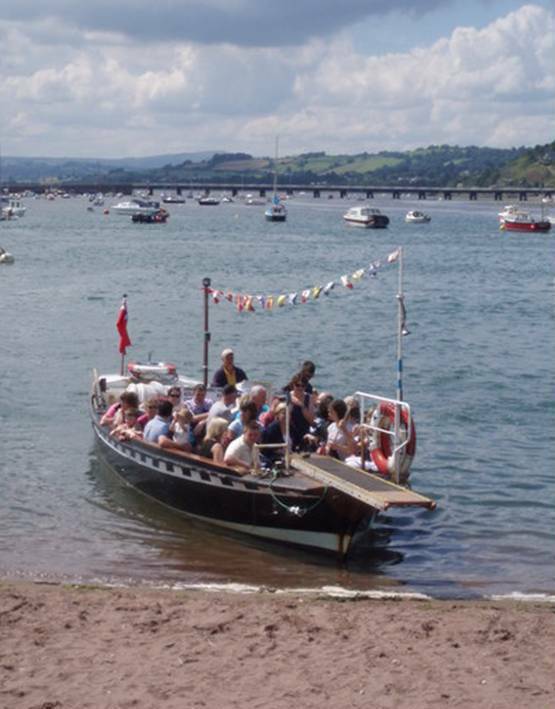 A ferry has crossed the Teign since the 10th Century. Edmund, the Earl of Cornwall, who introduced tolls, took control of the ferry from the Saxons in the 11th century. In those days the ferry crossed from the Point (referred to in Edmund’s will as ‘Tonmouthe Passag’) to the Passage House Inn, which was situated between the present Shaldon House and the Ferry Boat Inn. By the end of the 13th century the ferry revenues were six shillings & eight pence per annum – about 33p in modern money excluding inflation. Then, in 1602, Queen Elizabeth I granted the Cecil family, who held the manor of West Teignmouth, the right to run a ferry across the Teign. At that time the Teignmouth landing was further upstream than today; probably close to the Jolly Sailor Inn which had been built apparently as the ‘Ferryboat Inn’ in the early 16th century and stood on a patch of rising ground in the estuary of the Tame known as Rat Island. It’s interesting to speculate on the whereabouts of the ferry crossing between the 11th and 16th centuries – did it remain at the point or had it already moved upstream to a position where perhaps the crossing was easier though longer. There is some confusion in the references about what happened to the Ferry in 1712. In the book ‘History of Teignmouth’ it is stated that ‘the ferry rights were in the hands of Lord Clifford and firmly established in the Manor of West Teignmouth’. However, in the same year Sir William Courtenay purchased the western corner of the Den (including the old ‘Tonmouthe Passag’) and the harbour dues and some houses in West Teignmouth. That suggests that the Ferry Crossing moved again at around about that time to its present position This is corroborated later in the same book when it refers to the trade of Ferryboat Inn falling off by the mid eighteenth century owing to the movement downstream of the ferry crossing. The ferry now runs from the bottom of Lifeboat Lane in Teignmouth, but throughout its history has landed in several different places. For instance, during World War Two, the ferry landing moved along the beach to Gales Hill, next to the present commercial docks, as the whole area around The Point was used by U.S. Forces for the repair and preparation of landing craft for D Day. Early in the 19th century the present black and white livery was adopted; this pattern emulated that of the Royal Navy’s men of war and maybe partly explains why Napoleon was disinclined to invade Teignmouth. In 1824 the Teignmouth Bridge Company first leased the ferry for £150 per annum then, later that year, paid Lord Clifford £4000 to obtain the full rights (so what happened to the Courtenays and the earlier movement of the ferry?). In 1827 a wooden bridge across the Teign was opened. After several partial collapses, the bridge was totally rebuilt in 1931. During those times the ferry would have been very busy, since it offered the only easy route across the Teign. It must also have been a tough task for the ferrymen who had to row across the river, unless the wind was set fair and the small sail could be raised. In 1908 ferry T&S2 was launched. She was built at the Cremel yard in Plymouth for £27.11s.3d. The larger of the two ferries T&S4 was built at Bulley’s yard in Teignmouth in 1947. Both ferries are still running and it is thought that T&S2 is the oldest working ferry in England. 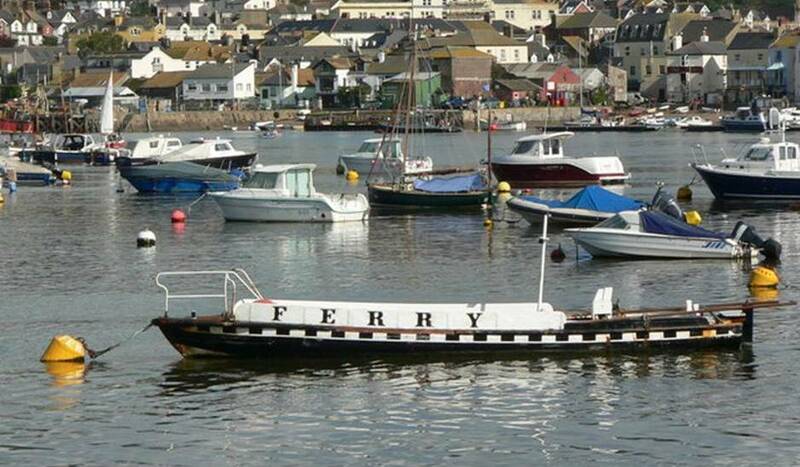 In 1948 the ferry was purchased by Devon County Council for £3,000. On 13th October 1998 a new 20-year contract was awarded to Teign Ferry Ltd to continue running the service into the 21st century. Curly Westlake (like his father and grandfather before him) with Sammy Sampson, were both crew in the 1950’s; John Heard in the 1970’s. The Ferry has always been one way of crossing the river but throughout the centuries there have been a number of fording places across the river as well for livestock, smugglers and monks! More about those in another post. Want to know more? Check out the following sites which, together with the book ‘History of Teignmouth’ by Grave Griffiths, have been the source of the information above.